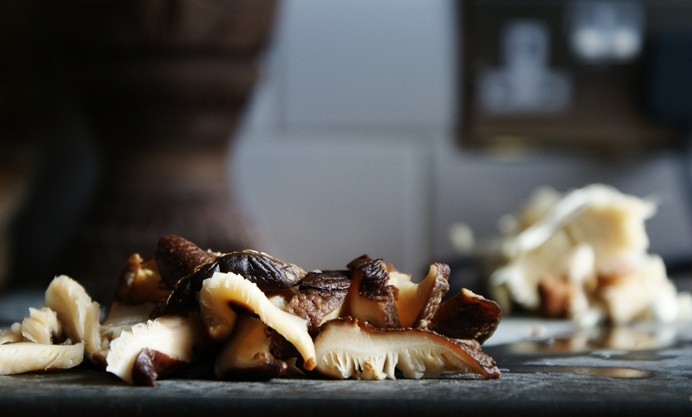 Despite being meat-lover blogger Hungry Female has an insatiable appetite for mushrooms. Found in endless varieties, many carry so much of their own flavours as well as acting as a perfect "sponge" for others. 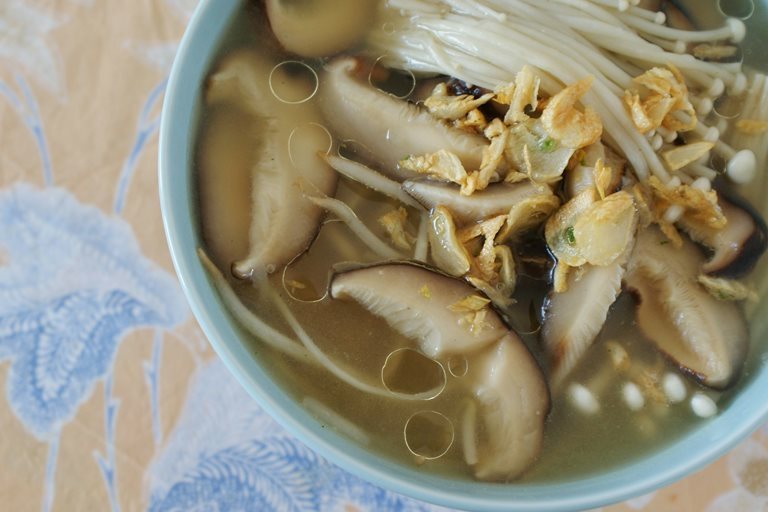 Here she explores her favourite mushrooms and shares a delicious recipe for mushroom noodle soup. 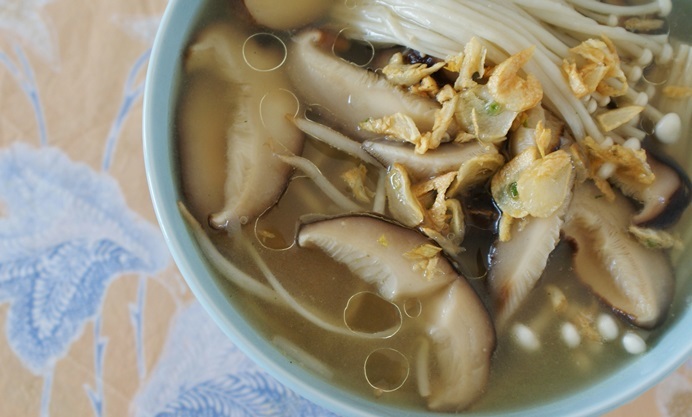 The dried black mushroom is the most common type within Chinese cuisine. Featured in the popular Buddha’s Delight dish (a vegetable mélange typically consisting of but not strictly to these mushrooms, carrots, fried tofu, mange tout and tiger buds) they are cultivated in mountainous forests across Southern China, harvested then dried. The drying process concentrates its characteristic woody, heady flavours and like its Italian relative the dried porcini, must be rehydrated before cooking. Rehydrate the mushrooms in cold water if possible to preserve their flavour and only with hot water if you’re short on time. Always try to reserve the soaking juice which makes an excellent vegetable stock base. 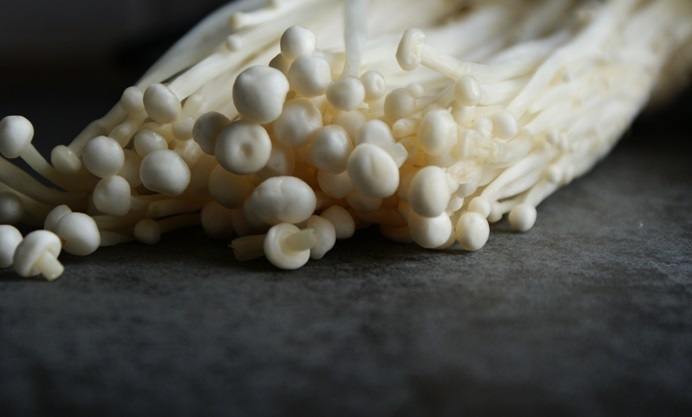 The second mushroom in this recipe is the popular enoki (as coined by the Japanese) or the Chinese termed, Golden Needle mushrooms. A much milder, sweeter taste, it only requires a short cooking time and is mostly used for soups. Placing raw beansprouts and spring onions into the soup bowl and then pouring hot stock on top means your beansprouts stay crunchy and the fragrance from the spring onions is released just before serving.